Despite their similarities, spiders and insects have many behavioral and physiological differences. Web-building spiders are primarily found in areas with abundant prey. Ground-dwelling spiders become pests in spring when they become active, and in fall as they search for mates and overwintering sites. The key to spider control is to deliver an effective pesticide to harborage areas. After pest-proofing and removing webs and egg sacs, apply an appropriately labeled microencapsulated spray around the perimeter where spiders were found, including possible travel routes to these locations. Apply silica dust under siding and into voids, cracks and crevices in these areas. When spider pressure is high, apply a repellent botanical pesticide dust to quickly repel and control spiders and prey. Lastly, apply an appropriately labeled borate or granular bait around the perimeter to kill prey before they enter the home. 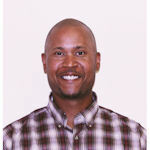 Dr. Jamel Sandidge is a research entomologist for Rockwell Labs Ltd.